A lovely and simple beach cottage just perfect for a family vacation. Located just four lots from oceanfront, a very short walk gets you over to the beautiful HI beaches. From the upper uniquely shaped sundeck, with safety gate, you've got the opportunity to witness some stunning sunrises over the Hatteras shoreline. And, there are also nice sound views for indulging in the sunsets !! Step inside to a bright comfortable family/kitchen/dining area where you can enjoy convening for meals and planning your beach day. There's four welcoming bedrooms (one "up top" and three just down the stairs) as well as midlevel shaded decking for an afternoon nap or "appointment" with a great book. Below that you've got lockable storage for all your beach gear with outside racks for both surfboards and kayaks (ground level). On the ground level, there's a convenient outdoor shower and fish cleaning station. Many improvements in the past, notably new siding, windows, decking, roof, and hot water heater. 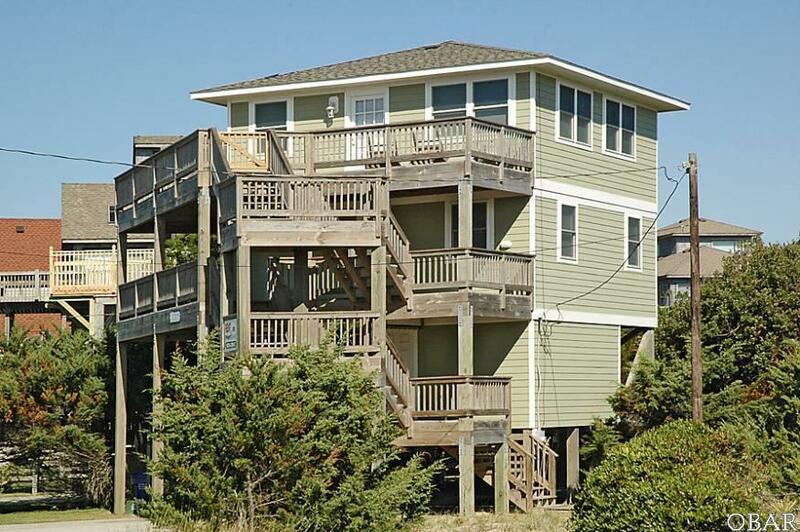 Windswept is located off the beaten path, yet is close to shopping, fine dining, Teachs Lair Marina, Hatteras Landing Marina, the Ocracoke ferry, museums, and 4WD beach accesses. Enjoy this comfortable home and the fantastic views it offers. A great place for your private or rental investment.